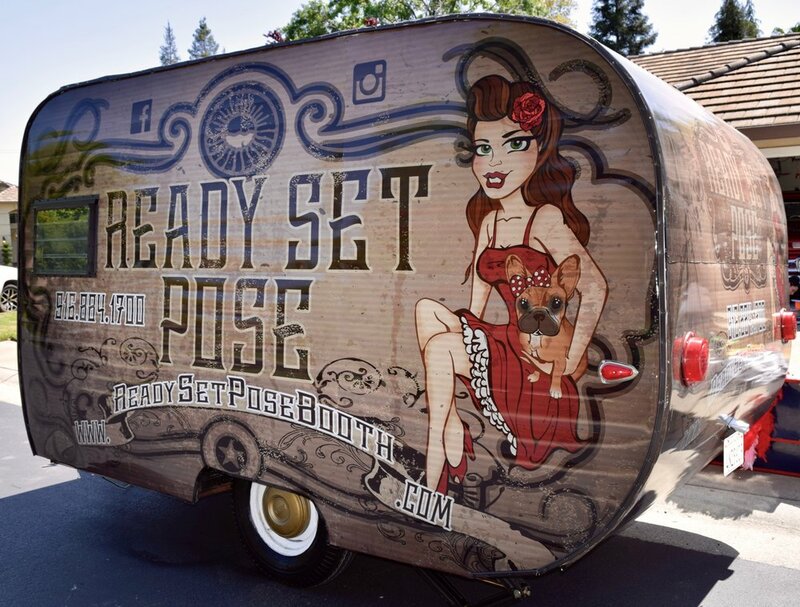 Our vintage Ready Set Pose trailer is a 1960 Traveleze Playmate that was born to entertain! © 2017 Ready Set Pose Booth. All rights reserved. Very professionally run and great backgrounds and props for fun photos! You have your normal Photo booth guys, then you have READY SET POSE, which is the next level by having the photo booth in a vintage trailer! Super fun and friendly staff with lots of fun and unique props and backgrounds. They designed a custom layout rather than the traditional strips as well as a custom background for the background of the photos! These guys are our go to people for all of our future events!